N-Tier has proven competence in development of device driver for multitude of platforms drivers ranging from HMI, touch screen , OLED, LCD, I2C,RS232 and RS485 We have strong expertise in development of, PCI, USB, CAN, SPI, Windows Platforms (Win CE, Windows 95/98/2000) and embedded platforms like Linux, PSOS+, CMX, QNX and VXworks, N-Tier has strong expertise in developing Interface applications from system level to client level. N-Tier has proven competence in BSP. Embedded devices involve software that is closely integrated with hardware. Developing a Board Support Package (BSP) requires that you to understand the hardware features of the chip and board, the data flow, interrupt and memory maps, and, in most cases, the microprocessor registers and bit setting. A completed BSP will initialize the hardware and provides function calls that enable higher layers of software to communicate with low-level system drivers. Problems with device drivers and the BSP can impact the functionality and performance of the entire device. The board support package experts at Embedded Access can help you create a solid software foundation for your application. We are experts in writing BSPs for ColdFire and Power Architecture platforms. Let our extensive knowledge base benefit your development team. While your engineers spend their time on the features of your product that count the most, Embedded Access can create a customized BSP and software platform as a foundation for your product. N-Tier offers porting and migration services across multiple platforms. Our services allow transformation across diverse design architectures, technologies and design approaches to optimize system performance and increase system applicability. Application Migration and Porting requires special and distinctive know-how. We have an expert team to deal with the typical cross-platform compatibility challenges that arise during porting. With expertise on various major legacy platforms, we follow a proven and tested methodology for porting and migration. Our value proposition would help you see the difference. Committed to delivering fully-integrated solutions, our ability to maximize the utility of reusable components enables faster execution of our migration projects. N-Tier specializes in High gate count projects and has excelled in complex FPGA designs for diverse applications, including micro architecture based designs and systems that have large and high speed memory requirements and multiple IO. Over several years, N-Tier has acquired the maturity and in-depth vertical expertise required for designing and developing new products using advanced technology solutions, across multiple verticals. We also offer re-engineering solutions to improve the manufacturing process, which helps customers in managing obsolescence, changes in technology and feature enhancements by recovering and reusing existing software assets. 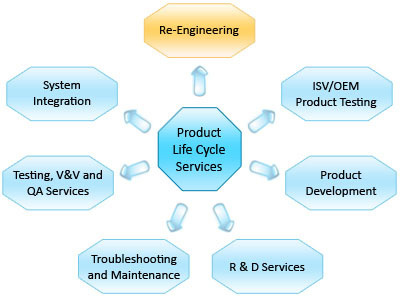 These services bring maintenance costs under control and enable future software development. As a result of our maturity we work in partnership mode to design, develop and re-engineer software products.